Your heart melts when you think of your grandchildren, but your kids won’t allow you to see them. It can leave you wondering whether you have any rights concerning your grandchildren. “Wisconsin has created a lot of statutes that allow for third-party visitation for anyone who has maintained parent-like relationships with the child,” said attorney Brian Weber. This would include grandparents. But the statutes are very specific. Visitation is not the same as custody of the grandkids. Even under the best circumstances, parents have preference over grandparents when it comes to custody. Furthermore, grandparents do not have the right to visit as frequently as a non-custodial parent. Surprisingly, you have more rights if the parents never married. “But you have to have had an ongoing relationship. If you have not had an ongoing relationship with the child, you are not likely to get visitation,” Weber said. The paternity of the father has been determined. The child has not been adopted by a step-parent. Grandparents have maintained a relationship with the grandchildren. The grandparents will not go against the wishes of the parents in such issues as faith, education and discipline. Visitation is in the best interests of the grandchildren. In an intact family—meaning married and no divorce—grandparents have no rights to see the children unless the parents agree. In a divorce, grandparents should petition for visitation while the matter is in family court. Grandparents might be allowed visitation on grounds similar to the situation where the couple had never married. In the case of a death of one parent, grandparents have the right to petition the court for visitation, although the children’s wishes may be considered. The best advice for grandparents in situations where the parents are married is to maintain a positive relationship with them. “The courts assume married parents have the right to decide who their children have a relationship with,” Weber said. 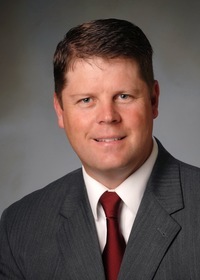 Brian Weber is a family law attorney at Johns, Flaherty & Collins. For a family lawyer in La Crosse WI, call Brian at 608-784-5678.